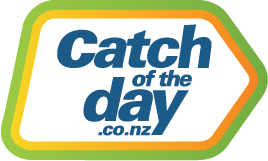 Catch NZ accepts payment via Credit Card or store credit. We unfortunately do not accept Diners Club cards, PayPal, cheques or direct deposits as payment. Your credit card was not issued by an Australian or New Zealand Bank. Your Internet connection originates outside of Australia or New Zealand (if you're employed by an international company - your Internet service may be based overseas). Please also check that your address details are correct, as they may be slightly different to how you know them. For any of the above reasons, if you continue to experience issues while trying to confirm your order please contact us via one of the methods below and we will be happy to assist you.